Mario Castro on WBGO’s The Checkout TONIGHT! TONIGHT! 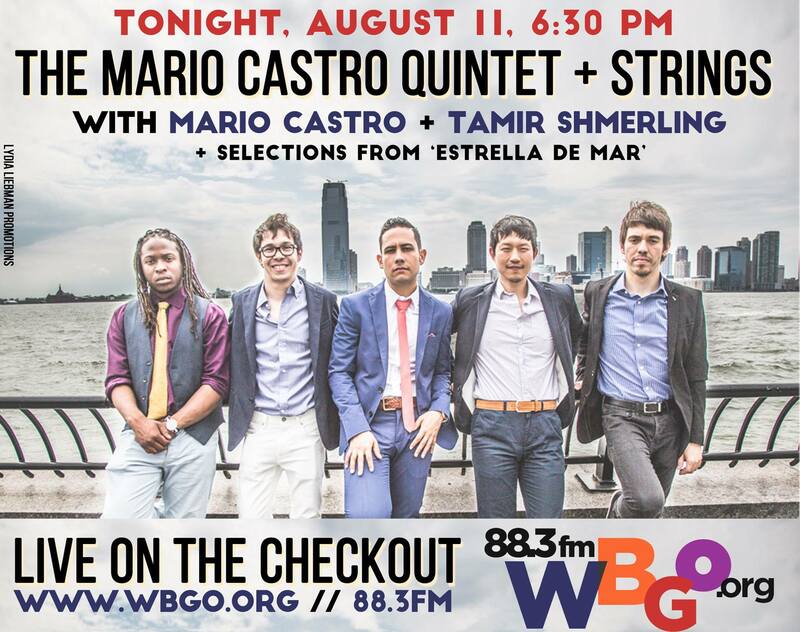 The Mario Castro Quintet will be featured on The Checkout from WBGO at 6:30 PM! Saxophonist Mario Castro and bassist Tamir Shmerling will be interviewed plus they will be play some cuts from their latest release ‘Estrella De Mar’. You can catch WBGO Jazz 88.3 at www.wbgo.org !